I am all about simple, yet flavorful and delicious meals! This one was just that! This chicken had just the right amount of crunch as well as sweet & spice to make the perfect combo! Cover a baking sheet with tinfoil sprayed with non-stick spray, set aside. 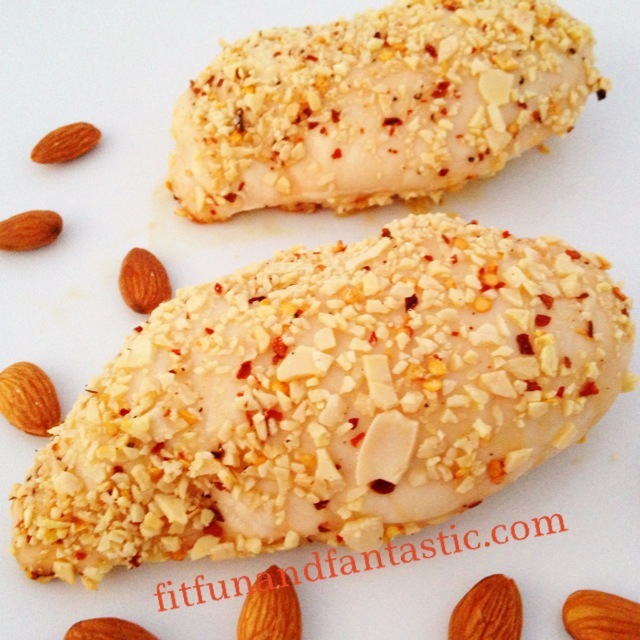 Place sliced almonds, red pepper, salt and pepper into a blender/food processor. Pulse until the sliced almonds and red pepper flakes become a bit of a finer texture. Place this mixture on a plate and roll each chicken breast on both sides in the coating mixture. Place the chicken breasts on the baking sheet and drizzle each piece with honey. Bake for approximately 35-40 minutes or until chicken is cooked. Don't have slice almonds? Slivered or whole almonds should work too! 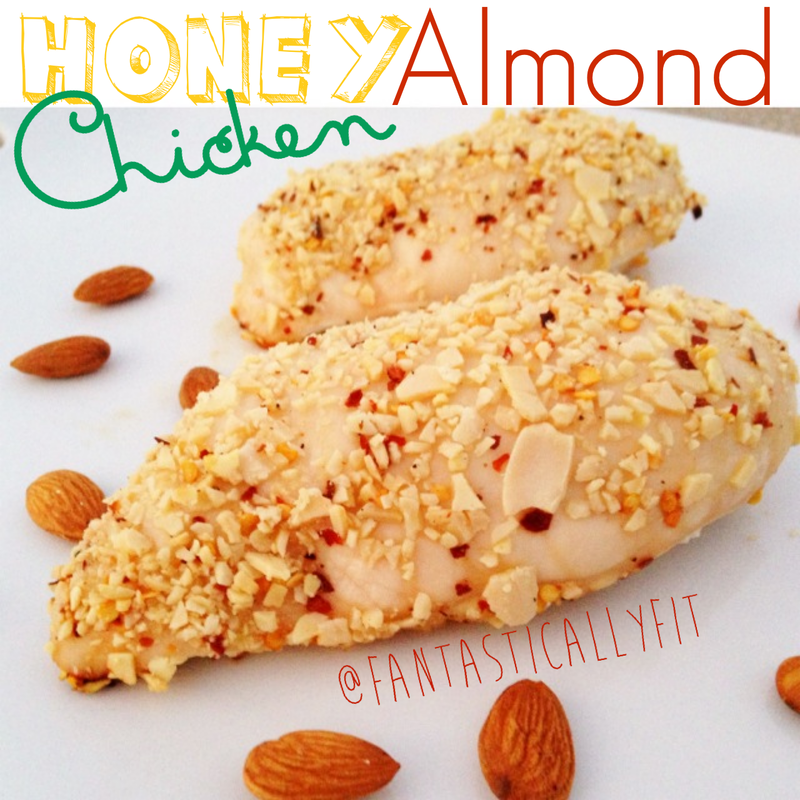 0 Responses to "Honey Almond Crusted Chicken"
I just made this for dinner tonight. So simple yet super tasty, thanks for sharing!